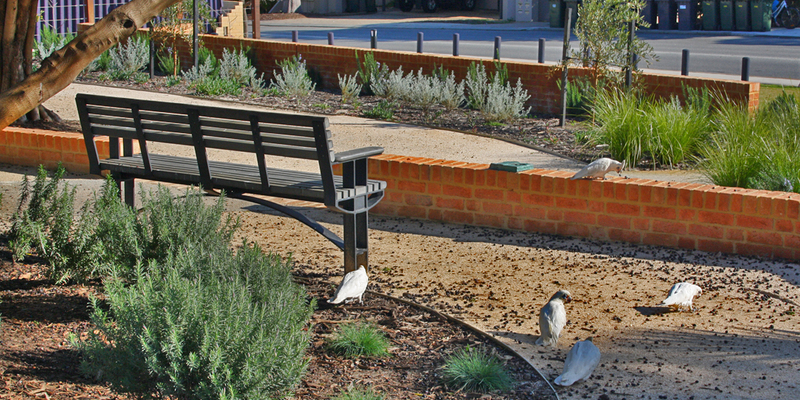 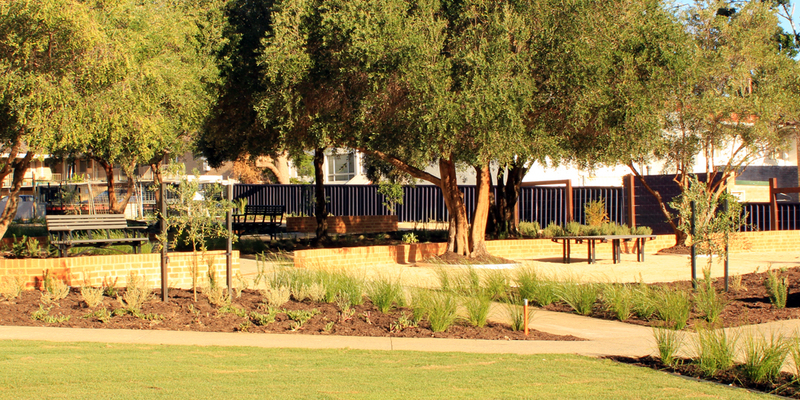 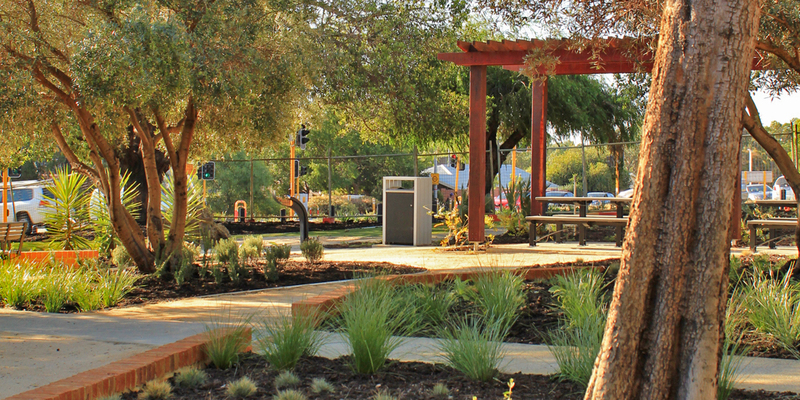 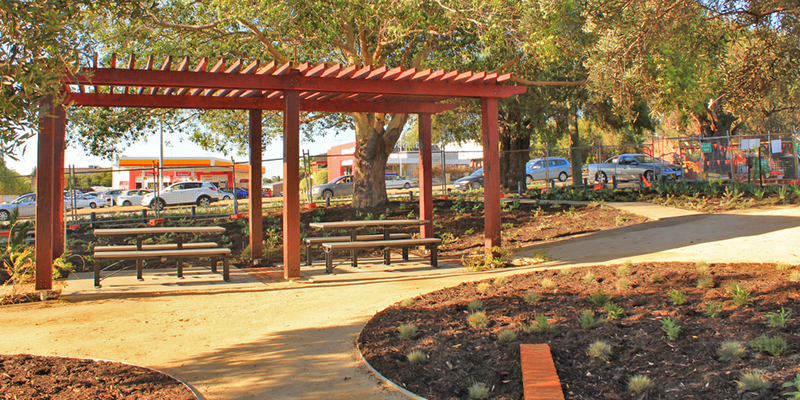 Ecoscape redeveloped an pocket park to become an award winning community asset, showcasing sustainable landscape design practices to the public. 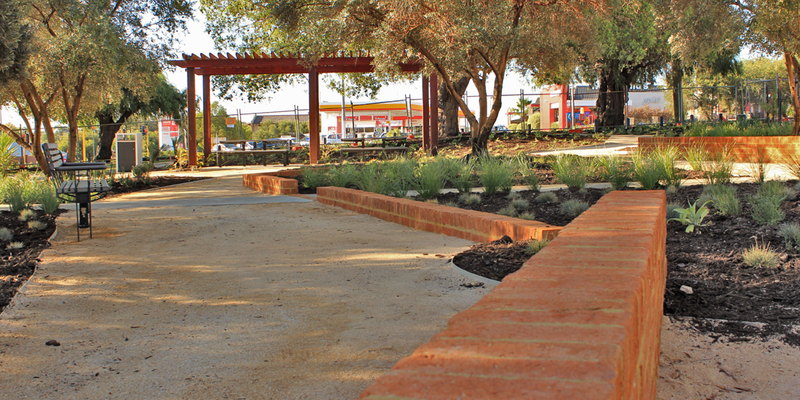 Ecoscape’s design for Dom Serra Grove builds on the established olive grove character of the site, and draws inspiration from Mediterranean landscapes. 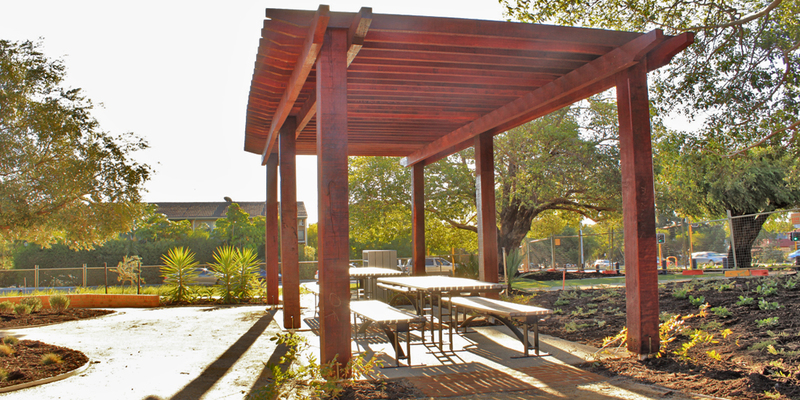 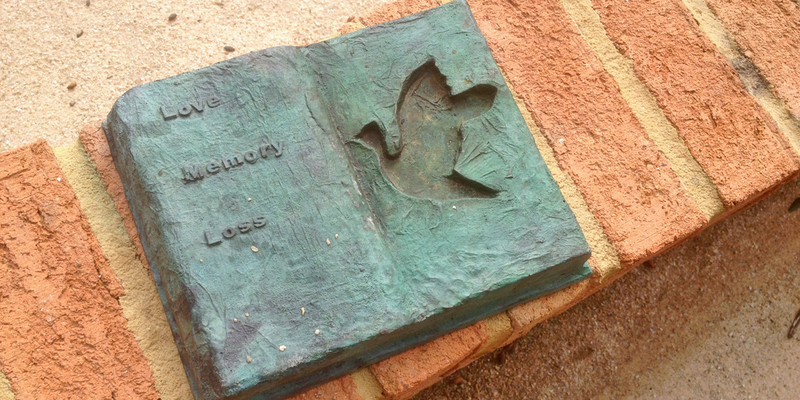 Shady, terraced outdoor rooms are created within the landscape to provide areas for both congregation and seclusion, and a large arbour provides a space for more formal gatherings. 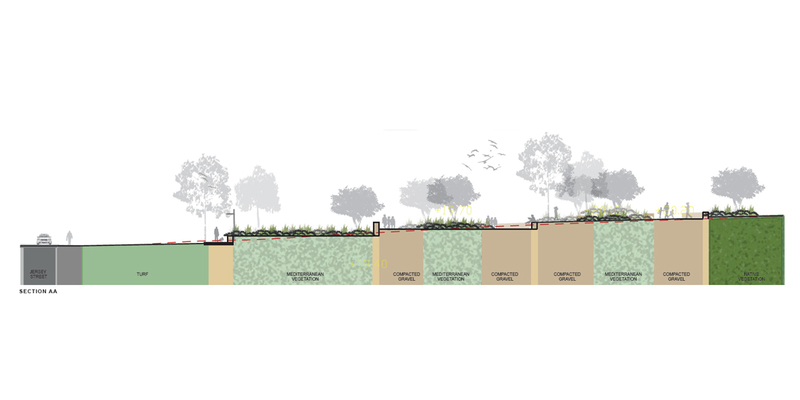 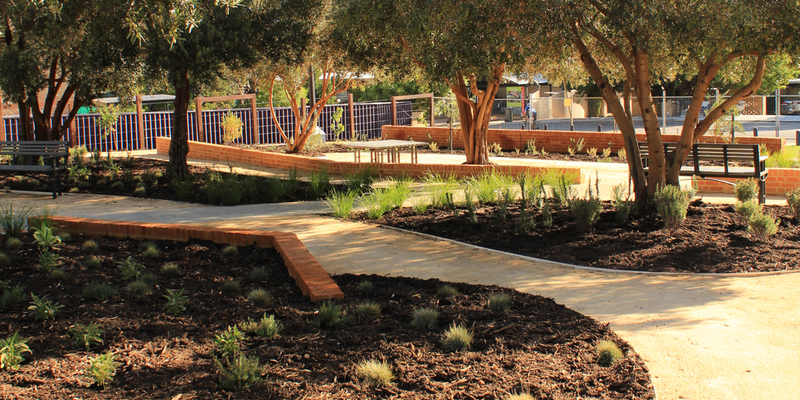 The overall design maintains a focus on the City of Subiaco’s sustainability goals to ensure the landscape is well positioned to withstand the impacts of a drying climate and the likelihood of increasingly stringent water restrictions. 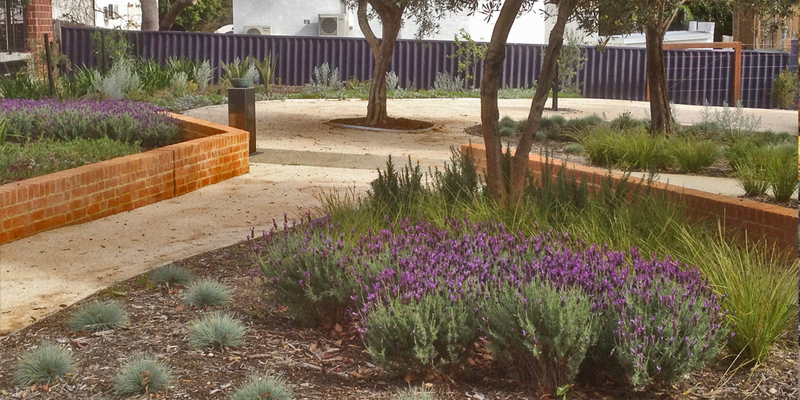 A mix of native and water-wise Mediterranean plants has been selected for planting, and the area of lawn significantly reduced to minimise the watering requirements of the landscape.